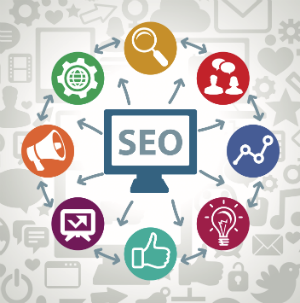 SEO Tips and Tricks : In SEO their are two main Concept, On Page SEO and Off Page SEO. So today we will discuss about on-page SEO factors. On Page SEO is the Primary Factor because Each Post is Consider as a Web Page So On Page SEO should be Strong and Off Page SEO is common to all the Pages in your Blog. In ON-PAGE SEO FACTORS their are main 5 Factors that influence search engine ranking. The first attribute that shows up in search results for your website. It should be unique for every page. This sentence actually describes the topic of the page to both search engines and users. Most Popular Unique keywords that are assigned to each particular page of your Blog and these words should be included in your Blog Post Content. H1 is the largest HTML heading Tag, which Specify the Importance of Keywords in your Blog. It Provides an alternative text for an image, ALT Tags are invisible descriptions of images. 8. Improve your on-page optimization which is Explained above. 5. Utilize social sharing network to share your content on your Social Networking Website Account. 3. Increase Backlinks through Commenting on other Blogs. Android One vs Xiaomi Redmi 1S : Who will Win the Race?